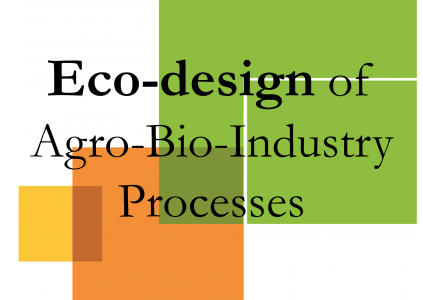 We are pleased to announce that a Workshop about Eco-design of Agro-Bio-Industry Processes will take place on 4th-5th February 2016 in Paris. This event is supported by grants from Région Ile-de-France. The aim of the workshop is to clarify and discuss the methodological and cognitive scientific stakes, related to the eco-design of the agro-bio-industry processes. This workshop will also be an opportunity for European research teams to meet together and a COST network proposal will be an outcome of the workshop, to be submitted in 2016. - 5th of February: half-day of work on the scope and the research questions to be dealt in the COST network. If you are interested in taking part to the COST consortium, we give you an opportunity of a poster presentation of your team / your research activities. The abstract for poster selection has to be submitted before 20th of November 2015. We are looking forward to meeting you during this event!